Item # 311987 Stash Points: 2,495 (?) This is the number of points you get in The Zumiez Stash for purchasing this item. Stash points are redeemable for exclusive rewards only available to Zumiez Stash members. To redeem your points check out the rewards catalog on thestash.zumiez.com. Check out the vibrant style and pattern of the Broken Promises Scorpion 2Tone Black & Yellow Web Belt. 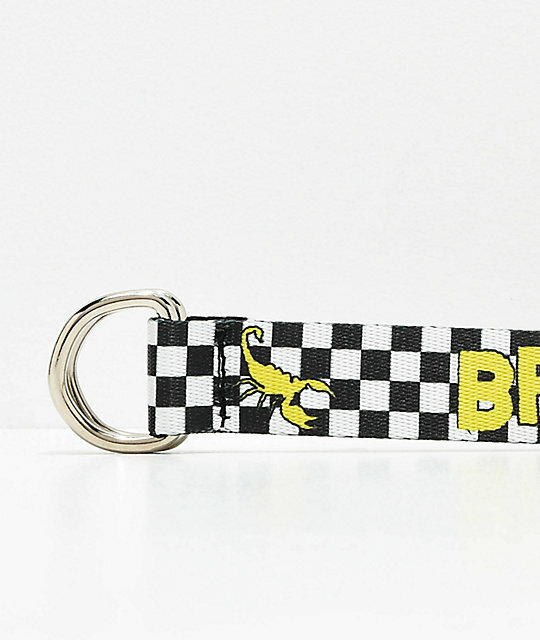 This checker print belt throughout comes complete with vibrant yellow script logo detailing, accompanied by scorpion images for a colorful and menacing look. 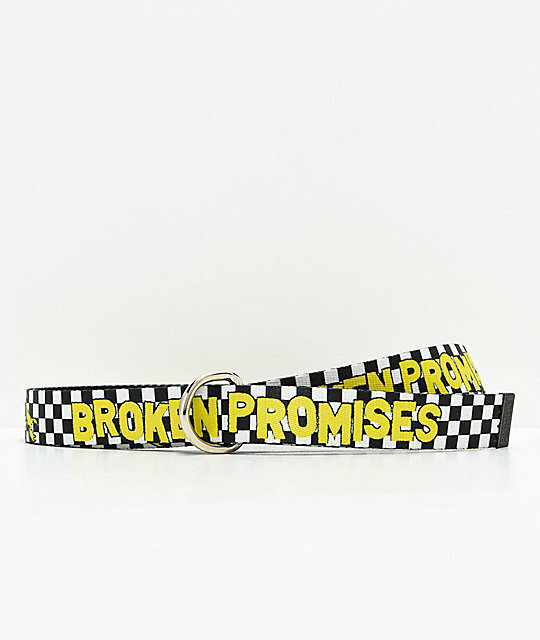 Scorpion 2Tone Black & Yellow Web Belt from Broken Promises. Black and white checker print throughout. Yellow script with accompanying scorpion images throughout.